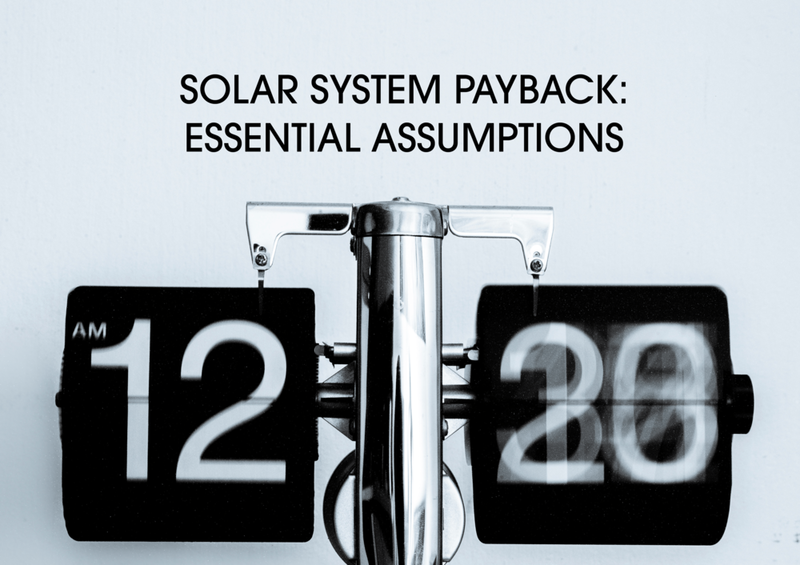 What Factors Determine a Solar System's Payback? For many people, the financial payback for installing a solar PV system on their home or business is the number one motivator for taking action. But how is the payback calculated? This article focuses on the story behind the numbers, explaining what is “real” and how to ensure the return meets expectations. 1. What is included under warranty during the system payback period? If there are certain items not covered under warranty that may require replacement or service during this period, these additional ‘hidden’ costs will push out the overall payback period and reduce the per year return on investment. It is important to ask your solar provider exactly what is included in the warranty so that you aren't caught by surprise with maintenance costs down the line. 2. What utility rate annual increase is assumed in the model? Over the past 20-30 years, most utility rates have increased on an annualized basis. Therefore, it is fair to assume this trend may continue. However, changing the amount of this increase even 1% per year can change the overall system payback by a financially significant amount. 3. What utility rate was assumed? Many electrical companies have varying rates for residential, business, commercial, etc. To that end, it is important to ensure the correct rate type was used in the model. 4. How can an owner confirm their system generation during payback? Accountability for representations is usually a tricky issue due to a lack of information. Certain solar systems have a built-in tracking feature where the owner can track their system’s production in real time and in aggregate, compare this to representations and have confidence in their performance. Be sure your system has this feature (and it does not have an additional cost). 5. Does the production representation take system shading into account? Shade is a large contributor to system underperformance. It is important that any payback period take into account the true shading of the system, otherwise payback may be longer than represented. 6. How long after the payback period should an owner expect to have power generation? The life of solar systems varies based on the quality of components and installation types. Many PV panels are warrantied for 25-30 years of power generation; experience shows production can last well beyond the 30-year mark with proper care. All Optimus Solar systems for homes and businesses transparently answer these questions, and come standard with power generation tracking, full payback-period warranty and a 30-year power production warranty.